In June, Wey was ordered to pay Bouveng $18 million in compensatory and punitive damages (later reduced to $5.6 million) and the last couple times we checked in with him he was complaining the Bouveng case would reflect poorly on him in during a securities fraud trial and begging a judge to show some mercy and let him attend Swan Lake. Now he&apos;s back, focusing his efforts on claiming the not great light he was painted in by the Panama Papers leak is much ado about nothing. Wey&apos;s official statement was presumably inspired by an announcement by his his buddy Preet Bharara this morning. Bharara, the US attorney for Manhattan, said he had “opened a criminal investigation regarding matters to which the Panama Papers are relevant”. Bharara has written to the International Consortium of Investigative Journalists (ICIJ), which coordinated the unprecedented leak of 11.5m files from offshore law firm Mossack Fonseca, to ask for further information to assist with his criminal investigation...Bharara, who as US attorney general for the southern district of New York has led several crusades against criminal wrongdoing in the financial sector, is already investigating several of the more than 200 US citizens named in the papers. 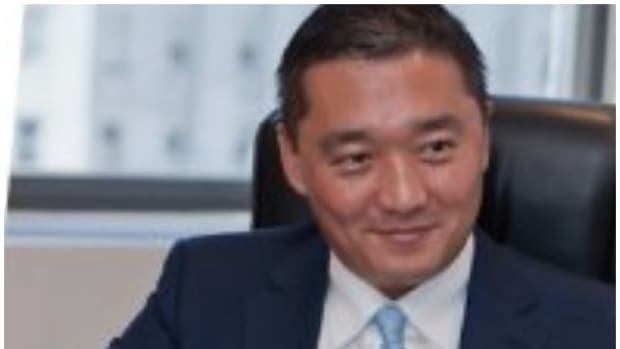 Among them is Wall Street financier Benjamin Wey, who has been charged with securities fraud, wire fraud, conspiracy and money laundering for using family members to help him amass ownership of large blocks of stock in companies through so-called “reverse merger” transactions between Chinese companies and US shell companies. He made tens of millions of dollars of illegal profit by manipulating the companies’ stock prices, according to the indictment. The Panama Papers leak shows that Mossack Fonseca helped set up the offshore companies used in the stock manipulation. In related news, Wey is now describing himself on Twitter as an "Investigative Reporter, Financier, and Civil Rights Advocate."